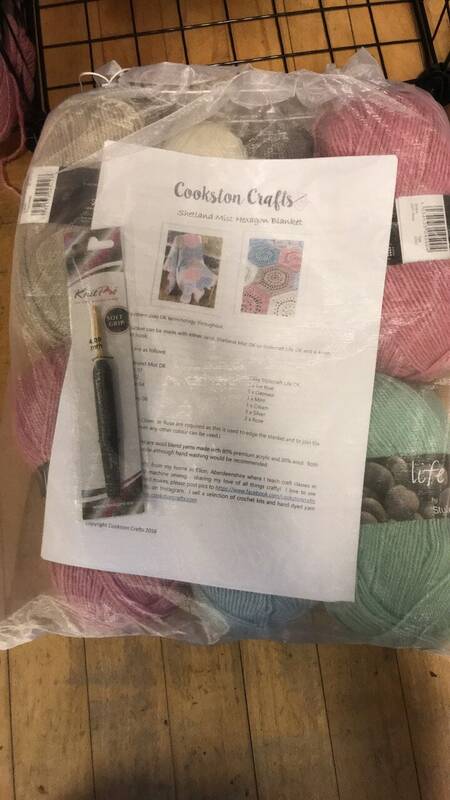 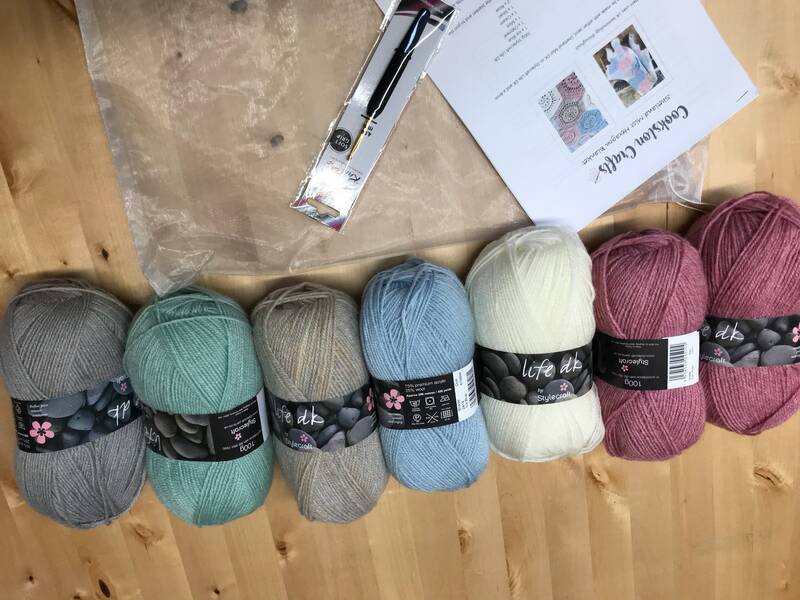 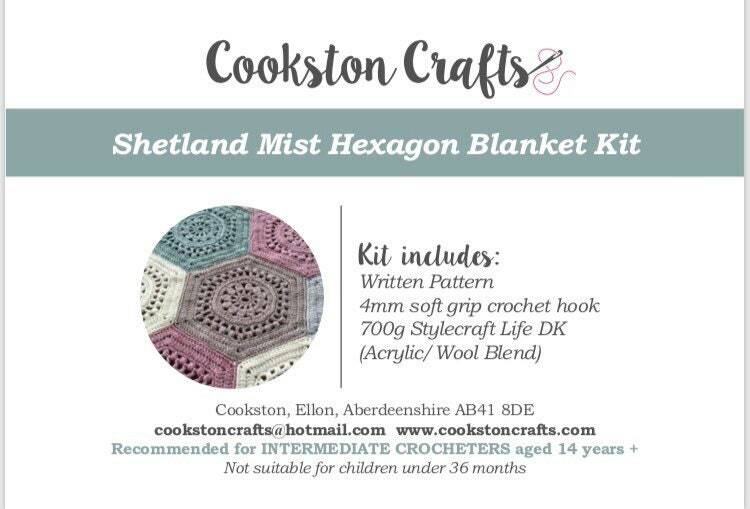 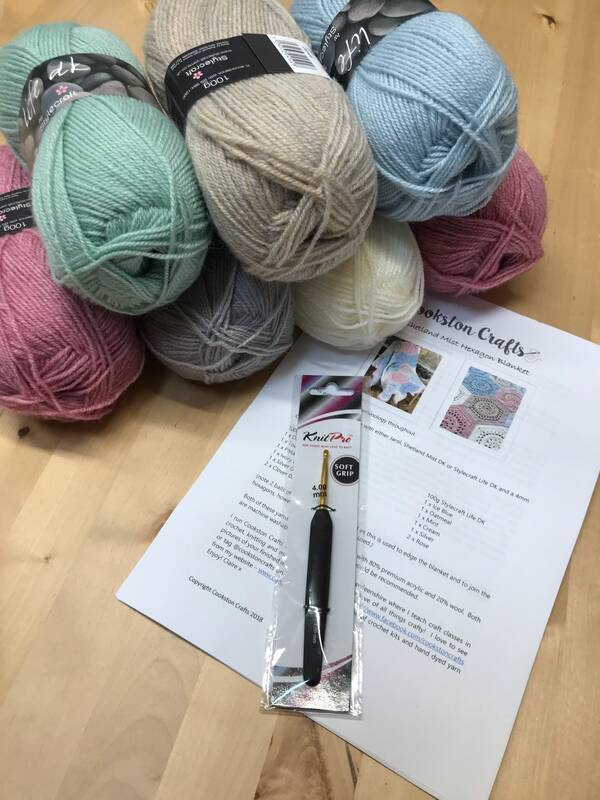 I designed this Shetland Mist Crochet blanket and have put together a pack of all the items required so you can replicate it. 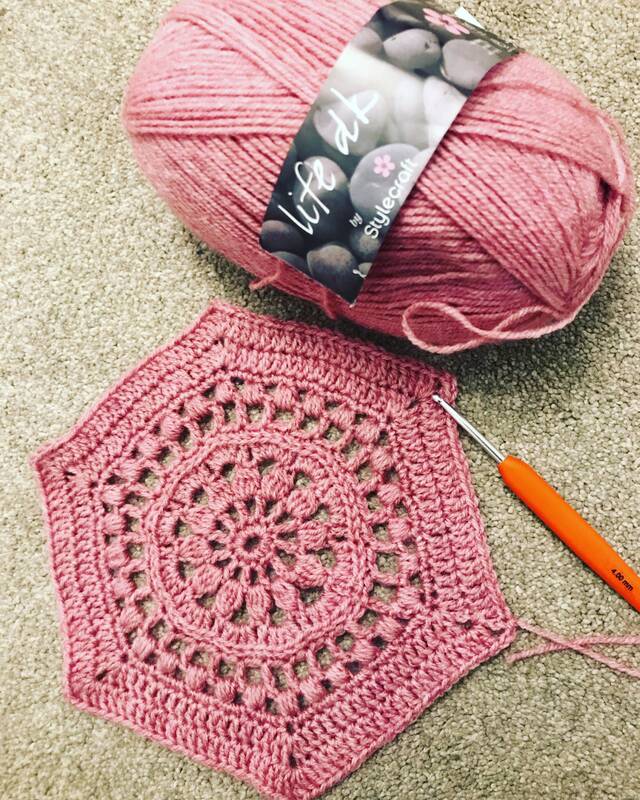 The yarn content is 80% acrylic / 20% wool which makes it a cosy yet affordable, machine washable blanket with a lovely texture. 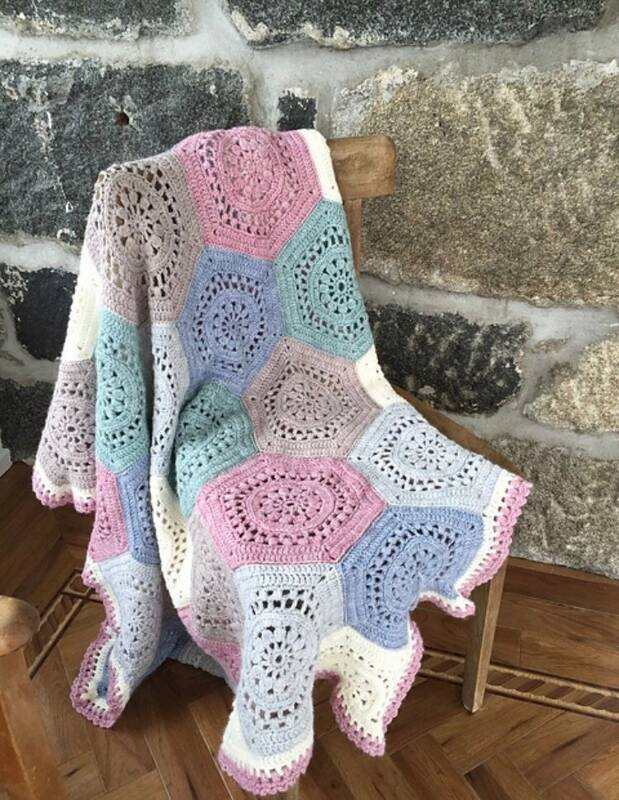 The pattern uses mainly basic crochet stitches and would be suitable for intermediate crocheters or confident beginners looking to progress.